The globular cluster Messier 107, also known as NGC 6171, is located about 21 000 light-years away in the constellation of Ophiuchus. Messier 107 is about 13 arcminutes across, which corresponds to about 80 light-years at its distance. 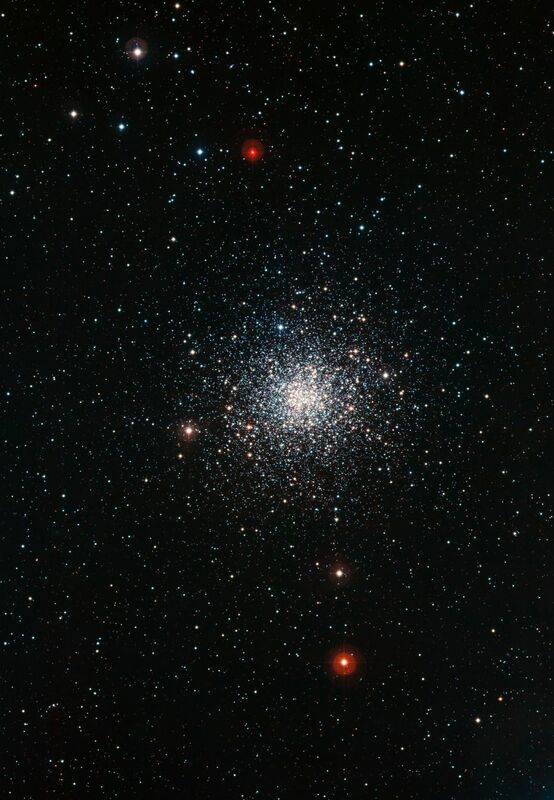 As is typical of globular clusters, a population of thousands of old stars in Messier 107 is densely concentrated into a volume that is only about twenty times the distance between our Sun and its nearest stellar neighbour, Alpha Centauri, across. This image was created from exposures taken through blue, green and near-infrared filters, using the Wide Field Imager (WFI) on the MPG/ESO 2.2-metre telescope at La Silla Observatory, Chile.